Testing new medicines in children and patients with rare diseases presents considerable challenges, not the least of which is proper endpoint selection and measurement. With the recent rapid growth of pediatric and rare disease trials, the pharmaceutical industry is now particularly considering the assessment of cognition and behavior in pediatric populations. In this webinar, Dr. Ventola will share her two decades of experience in developmental disabilities and pediatric neuropsychology, including strategies and approaches for selecting cognitive and behavioral measures that are appropriate for infants through adolescents. Specifically, she will describe key factors in test selection, as well as developmental and age-related considerations. Dr. Ventola will address traditional neuropsychological and behavioral measures for both safety and efficacy endpoints, as well as computerized cognitive batteries. Dr. Ventola is Senior Science Director at Cogstate and Assistant Professor at the Yale Child Study Center. 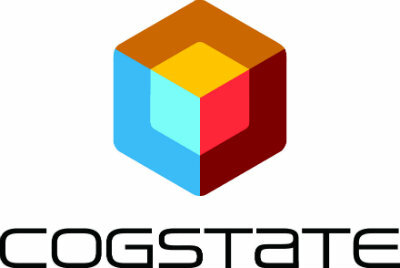 Dr. Ventola leads Cogstate’s pediatric and rare diseases portfolio, providing Cogstate customers with strategic oversight and expert guidance throughout all stages of their study planning and execution – from endpoint selection, rater training and strategic monitoring to final statistical analysis. As a licensed clinical psychologist, Dr. Ventola’s primary clinical expertise is in pediatric neuropsychology and specifically developmental and genetic disorders. Her research interests involve developmental disabilities, and among her recent research is a study on brain-based mechanisms of treatment response in autism spectrum disorder (ASD). She is also utilizing eye-tracking paradigms as a novel outcome of clinical trials in ASD and is involved in studies on novel pharmacological therapeutics in individuals with ASD. Dr. Ventola received her Doctor of Philosophy in Clinical Psychology from University of Connecticut and completed her clinical training and Postdoctoral Fellowship at the Yale University School of Medicine, Child Study Center. She serves on the editorial review board of multiple academic journals. Specifically, she serves as a reviewer for the Journal of Autism and Developmental Disorders, Journal of the American Academy of Child and Adolescent Psychiatry, Clinical Psychology Review, and the Autism International Journal of Research and Practice. Dr. Ventola has authored numerous peer-reviewed manuscripts, book chapters, and scientific presentations.